We've been quietly upgrading the server for weblogs.com, hopefully without too many problems for people. The goal has been to make the server more reliable. Today we changed the url of the "ping site form." We redirected the old address to the new one, which most clients will handle automatically, but if you can reprogram your client to use the new address, now would be a good time to do it, to make sure there's no breakage in the future. Also you may need to know this if for some reason your client doesn't respond correctly to the redirect request from our server. And we've also updated the docs to reflect the new address. The reason we made the change is that we're getting ready to retire the old server, and this is one last bit of functionality that still resides there. Rogers Cadenhead has been working with me on these changes, so if you have concerns, he may respond to the questions posted below. I started getting reports yesterday that changes.xml has been inaccessible, it appears to behind a password dialog. Some people didn't complain because they thought this was a policy change. It is not. There's some kind of problem with IIS, I can't find any evidence that the site has any access controls through the system manager user interface. I tried re-creating the site from scratch, and at first it worked, and I thought the problem was solved (this was yesterday at about 8PM Eastern) but I just checked at 2:30AM Eastern, and it's asking for a username and password again. Okay, so I am now moving the static files to Apache, that should take care of this problem, but may create others. Stay tuned. Update: The change I made appears to have worked. I'm going to have to revisit this since I switched to a server with relatively expensive bandwidth. But it's important to have this resource online and available. Sorry for the outage and please if there are any problems, let me know. Thanks! This is a bootstrap. 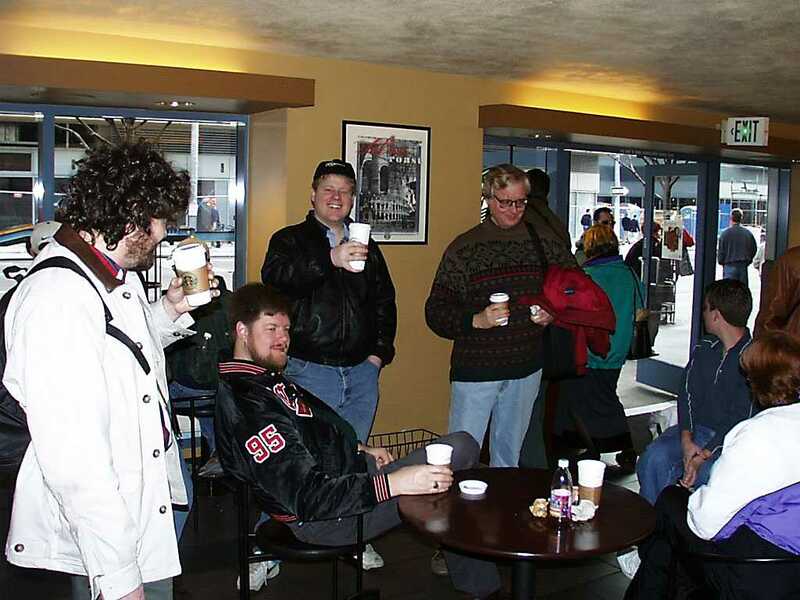 Several people who keep audio weblogs have suggested that weblogs.com could handle pings for audio blogs, so a community could develop. I thought it was a great idea, so I set it up. Here's the howto. It produces a changes.xml feed for this community. When we start getting a few pings every so often, I'll code up an HTML rendering at audio.weblogs.com. So if you have an audio weblog, set it up so it pings when you post a new audio item, and let the bootstrap begin! If you have comments or questions post them here. A weblogs.com community for audio weblogs? Harold Gilchrist says it's time for the audio blogs to have their own weblogs.com. Weblogs.com itself has the ability to spawn new communities. So if there were enough audio blogs to start one, I could and would do it. Probably the best way to find out is to create a post and ask people with audio blogs to comment. Please include a link to your weblog. Thanks! A new month approaches and a new demi-god takes the mantle atop the home page at www.weblogs.com. It's a testiment to the bravery of Scoble, one of a handful of people to lose a job because of his weblog. This evening, talking with Scoble on the phone, he threatened to stop blogging if annointed as the god of weblogs. Let's see how long he can stay away! If he hadn't caught Wesley Clark with his eyes closed in an elevator it's fairly unlikely that he would be gracing the top of Weblogs.Com. 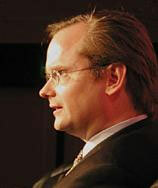 Larry Lessig, the legal blogger from Stanford, is the new lord of the blogs. This is a test post. There was an error when I tried to demo routing to weblogs.com last night and the error recovery was inadequate (it left around an invalid structure). So I fixed it so it cleans up after itself, and tried again, and this time it worked. Next time there's an error it'll recover better, and also will leave around a message for me so I can tell what went wrong. It wasn't broken, it just wasn't prepared for something to go wrong. Changes.xml for RSS feeds. "It seems that aggregators and feed readers can make good use of the flow of changes, to discover new feeds that may interest readers; and to optimize polling." Here's how I'm handling apps that request changes.xml too often. The rule is that you may access changes.xml three times an hour. After that you'll get a 503 Service Unavailable response. I also included a Retry-After response header. Click here to get an up-to-the-minute report on the high water mark for weblogs.com. I now have much better monitoring tools for who's accessing what on my static server, and as soon as we turned the corner on weblogs.com, changes.xml shot to the top of both the hits and bytes lists. In other words, it's getting the most hits and serving the most bytes. I wanted to see if it was just a few people or lots of people accessing the file, so I wrote a script and let it run overnight. 232 different IP addresses accessed the file, the vast majority being good network citizens and accessing it only once an hour. But one application read the file 592 times in the ten hours it was running. And I didn't count 304 returns. Either the app didn't support it, or the file changed (it's rebuilt every five minutes). Any application that reads more often than once an hour should be using shortChanges.xml (it contains the last five minutes of changes only). There's another issue, some of these services are competitors of weblogs.com that don't provide a list of their changes. This is not cool. I've already communicated with one of these guys, as a test case. If they don't open up, what should I do? Reminds me of the open channel list we had on My.UserLand and the services that didn't reciprocate. Quietly, over the last few days, with help from Lawrence Lee at UserLand, I took weblogs.com for a ride across the country, from UserLand's hosting service in California to my personal colo'd server in the Boston area. In the process I saw how much weblogs.com has grown since the last rewrite, and it badly needed another, so that's what I did. So there's been a bunch of chaos in the service for the last few days, but it should have settled down by now. I'm going to give it a few more days of close supervision, and tweaking and tuning. When I make a change you should see a note about it here. Then, perhaps it'll be time to think about some more features, esp in correspondence with the new features coming online with Channel Z. I think the combination of the two will be especially powerful. Yes, there is a method to the madness, somewhat. 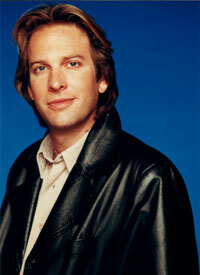 PS: The eyes are those of Adam Curry. I plan to rotate cryptic pics of famous bloggers through the banner of weblogs.com, from time to time. The high-water mark is 2399 weblogs, on 4/7/2003; 3:23:19 PM.